Here's our guide on facing down with the Xeno'jiiva in Monster Hunter World, and how to emerge victorious. The Xeno'jiiva acts as one of the big bad creatures of Monster Hunter World, and you'll be taking it on near the conclusion of the game. In this Monster Hunter World Xeno'jiiva guide, we'll be putting together all the information you need to know about facing down with the supreme Elder Dragon. If you instead need anything else on the massive game of Monster Hunter World, including how to quickly track down a monster with the Scout Flies, as well as how to find every Elder Dragon in the game, make sure to head over to our Monster Hunter World guides walkthrough hub. The climactic fight with the powerful Xeno’jiiva comes in the mission after you’ve successfully defeated the Nergigante, Kushula Daora, Vaal Hazak, and Teostra the Infernal. Monster Hunter World pulls a nasty trick here, and although it seems like you’re venturing out on a simple exploration mission, you’re actually going to be going up against the final boss of the game, so come prepared. The Xeno’jiiva unfortunately doesn’t have any one specific elemental weakness, so you won’t be able to plan around defending against a specific elemental type. We would recommend either the Nergigante or the Kushala gear however, given that both sets can enhance your attack power, while also offering some of the best pure defense statistics in Monster Hunter World. There are a few main weapons we’d strongly recommend choosing between for the fight with the Xeno’jiiva: Dual Blades, Long Sword, Switch Axe, or the Light Bowgun. 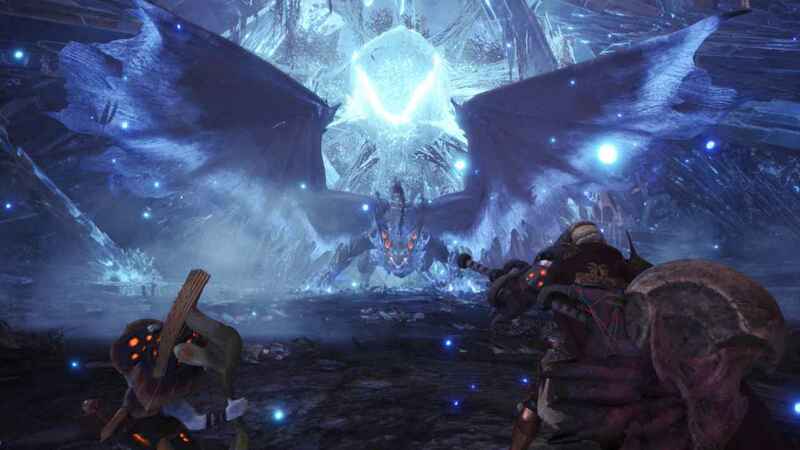 The battle with the monster is going to involve a lot of moving around, so lighter weapons like the Dual Blades or Light Bowgun could work well in your favour for dodging out of the way of incoming area attacks that the Xeno’jiiva is fond of pulling off. Speaking of attacks, there are several main ones you’ll want to watch out for with the Xeno’jiiva. The monster is fond of shooting a beam of blue fire of its mouth, either in a straight line, or sweeping across the battlefield. Make sure to dodge to either side if you see its head begin to rear up, and it it performs the sweeping attack, you’ll want to stow your weapon and sprint immediately to the side of the monster, although it is possible to time a dodge well enough to roll underneath the beam. Once you’re in the second phase of the fight and the Xeno’jiiva is on higher ground, you’ll need to watch out for its aerial attacks. While the monster is in the air, it can either shoot blue balls of fire onto the ground, or it can shoot a beam travelling horizontally across the battlefield, both of which are actually fairly easy to dodge. You’ll want to avoid the pools of fire on the ground during this phase, but in this second phase you can also cut the tail off the Xeno’jiiva, as long as you’re wielding a bladed weapon. No matter which weapon you take in for the fight against Xeno'jiiva, you’ll want to target either the front legs, the head, or the tail of the Xeno’jiiva. 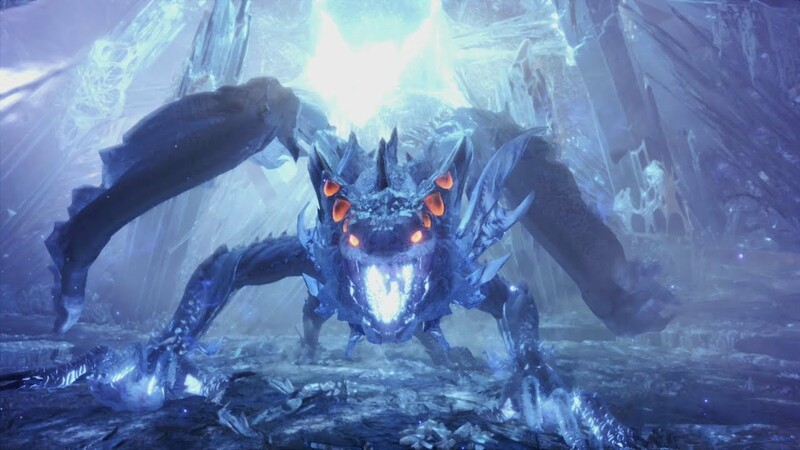 The tail is the more dangerous option, since the Xeno’jiiva likes to use its tail to slash the ground around it, causing blue flames to erupt from the ground. Hitting the head of the monster repeatedly is more likely to stun it, but the front legs of the Xeno’jiiva are by far the easiest option to attack, since they rarely move while the monster is committing to attacks. What you shouldn't waste time with is the rear legs of the Xeno'jiiva, as well as the main body. The rear legs of the monster are guarded by heavy layers of skin, and your weapons with regularly bounce straight off it, and if you're going to go for the main body of the Xeno'jiiva with a ranged weapon like the Bow, you'll be doing far less damage to the monster than you would be if you targeted the head or front legs of the beast. The fight with the Xeno’jiiva is incredibly long and drawn out, so you’ll definitely want to make sure to stock up on Potions, Mega Potions, and other healing items like the Health Booster before heading out into the fight with the beast. For the best options for gear and armor to take with a specific weapon for the fight, head over to our Monster Hunter World builds guide.